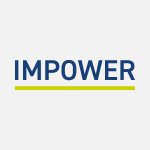 IMPOWER has been selected by the UK government as a preferred supplier for management consultancy work, under the Crown Commercial Services Management Consultancy Framework Two (MCF2). Public sector bodies are now able to work directly with IMPOWER without the need for a separate competitive tendering process. The framework will be in place for two years, with an option for two further 12-month extensions. With a combined estimated purchasing power of in excess of £2.3 billion per annum, the framework provides both the wider public sector and central government with better deals and more effective contract arrangements. The Framework means that there will be no need for clients to undertake lengthy and costly EU-compliant procurement processes; all necessary formalities have been carried out by Crown Commercial Services already. Clients may simply approach IMPOWER, without the need to advertise the requirement or to pre-qualify consultants.